Victor Hugo (1802-1885) was the son of a high-ranking officer in Napoleon Bonaparte's Grand Army. A man of literature and politics, he participated in vast changes as France careened back and forth between empire and more democratic forms of government. As a young man in Paris, he became well-known and sometimes notorious for his poetry, fiction, and plays. In 1845, the year that he began writing his masterwork, Les Misérables, the king made him a peer of France, with a seat in the upper legislative body. There he advocated universal free education, general suffrage, and the abolition of capital punishment. When an uprising in 1848 ushered in a republic, he stopped writing Les Misérables and concentrated on politics. But in 1851, when the president proclaimed himself emperor, Hugo's opposition forced him into a long exile on the British Channel Islands. 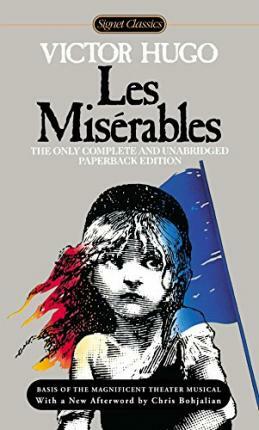 There, in 1860, he resumed work on Les Misérables, finishing it the next year. With the downfall of the emperor in 1870, Hugo returned to France, where he received a hero's welcome as a champion of democracy. At his death in 1885, two million people lined the streets of Paris as his coffin was borne to the Pantheon. There he was laid to rest with every honor the French nation could bestow.